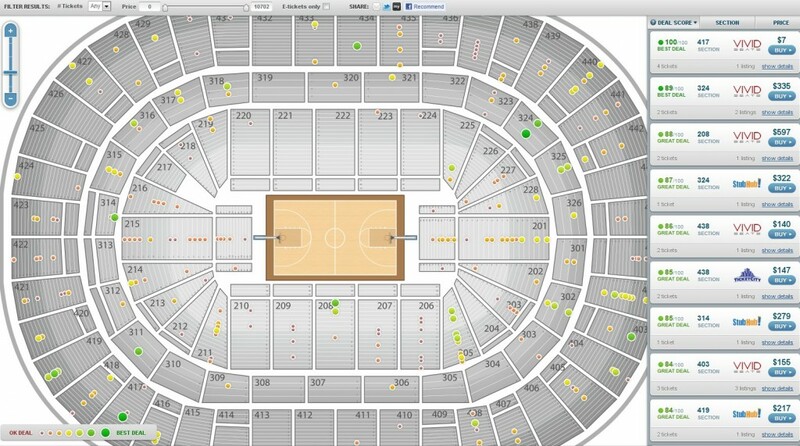 Find 2012 Final Four tickets right here at SeatGeek.com! Last night Arizona knocked off favorite Duke, and UConn was able to pull it off against SDSU to lock up positions in the Elite 8. Being born and Raised in Connecticut, I was pretty happy with both outcomes even though it would have been great to see UConn beat Duke like they did in there 1999 and 2004 Championship runs. Here is a quick update on tickets for Arizona vs. UConn on Saturday. Reach out at chad@seatgeek.com if you need more details for a story or blog post. Ticket Prices: Average ticket listing price is $554, with 400 Level tickets averaging +$200! These are high, but not quite as high as Final Four ticket prices.